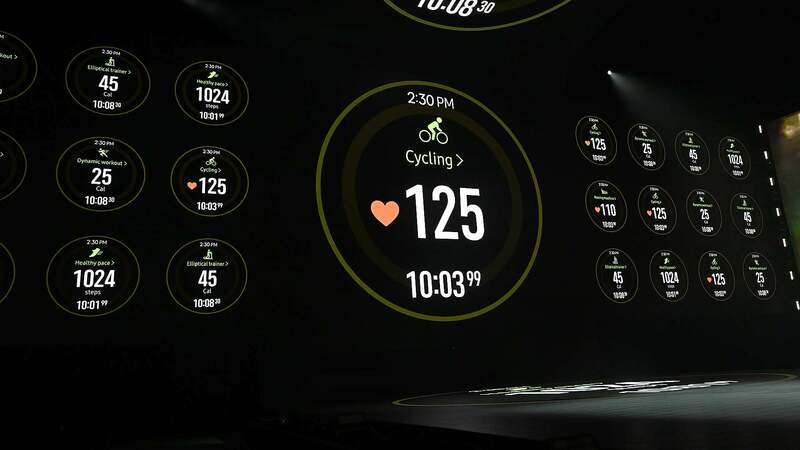 While the Galaxy Fold is the undoubted star of today’s Unpacked event, Samsung also officially revealed its new wearables lineup, led by its sporty Galaxy Watch Active. And yes, friends, it is missing the signature rotating bezel. Not that it’s a huge surprise per se. Renders of the watch—along with the Galaxy Fit, and Galaxy Buds—leaked last week when Samsung unwittingly updated its Android app. But while we knew what the Galaxy Watch Active looked like, details on specs and what it could actually do were thin. The watch has an impressive lineup of features considering its affordable £229 price tag: a 1.1-inch full-colour AOD display, 1.15 GHz Exynos 9110 dual-core processor, and built-in GPS. Its 230 mAh battery supports wireless charging, though there is no word yet on estimated battery life. Like the Galaxy Buds, the new Galaxy Watch Active can charge directly from the Galaxy S10 phone—even if the live demo of this feature at Unpacked was a bit clunky. And like the Galaxy Watch, it’s swimproof. Under the hood, it’s also got an accelerometer, gyroscope, barometer, heart rate monitor, and ambient light sensor. Functionally, it also seems like Samsung’s doubling down on its focus on wellness that it expanded with the Galaxy Watch. The Active will also monitor stress levels and suggest breathing exercises if it detects you’re getting too worked up by modern life. It can also automatically track the same 39 activities the Galaxy Watch could. But what’s new here is the Active’s ability to monitor blood pressure. 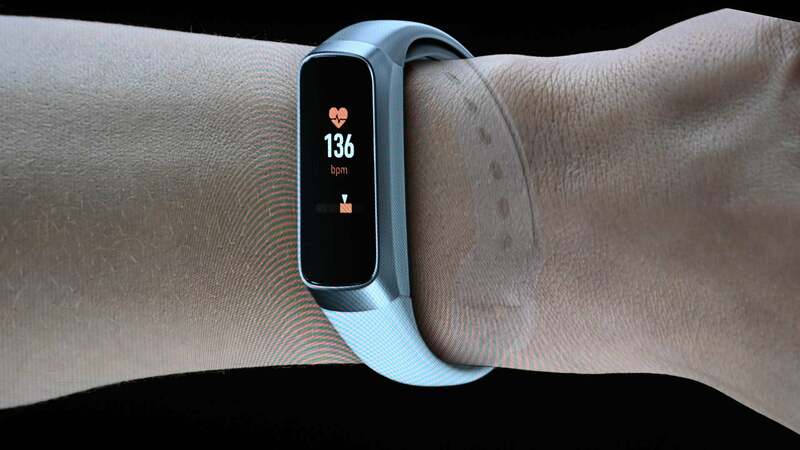 It’s not entirely clear just how—or if Samsung’s got any type of government approval or clearance as Apple did with its ECG feature for the Series 4. Especially since this feature was not addressed at all during Samsung’s Unpacked event. In any case, Samsung says the feature will be available via an app called My BP Lab that it developed with the University of California, San Francisco. As far as design goes, the Watch Active resembles the Fossil Sport—and overall, that’s good save for one thing. The lack of a rotating bezel. Previous Samsung watches let you navigate through the Tizen OS by twisting the gear-shaped bezels right or left. It was a deft UI that was not only intuitive but way more useful than Apple’s digital crown or the clumsy button navigation you find on most Android smartwatches. Meanwhile, Samsung’s also updating its fitness tracker line with the Galaxy Fit. It’s pretty simple overall, but features all the basics you’d expect. That includes sleep tracking, stress tracking, and automatic activity recognition. You can also get push notifications, and an estimated one week of battery life. Like the Watch Active, it can also charge wirelessly, is swimproof, and features heart rate monitoring. The Galaxy Watch Active will be available starting 20 March, though anyone who preorders will get a free wireless charging pad. Meanwhile, the Fit will be available sometime in the second quarter of this year.